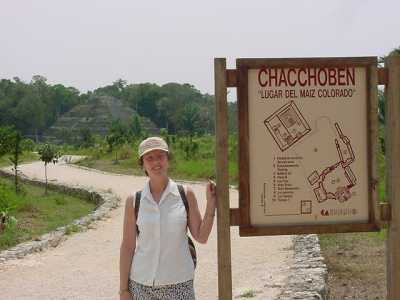 Let Janet arrange your cruise vacation and your tour of the ancient Mayan City of Chacchoben in Quintana Roo on the Yucatan peninsula of Mexico. Largely unexplored until 1999, the Mayan City of Chacchoben dates back from 360 A.D. --the classic period , during which time it played an important role in the distribution of such precious items as wood, jade, and exotic birds. Explore the ruins and climb the stairs leading to the first plateau. Chacchoben tours available to cruise passengers booked by Janet only.